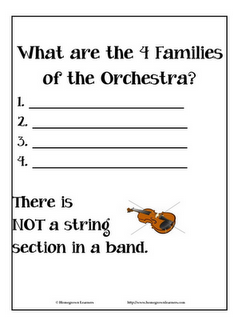 A recent trip to a high school band concert sparked a discussion about the difference between a band and an orchestra. Have your children listen to this BAND PERFORMANCE: The Stars and Stripes Forever by John Philip Sousa (The March King). I like this video because they can SEE the band and watch the instruments being played. Maybe they could fill out a SQUILT listening sheets as a part of this lesson, too? After watching the band performance have your children then listen to this ORCHESTRA PERFORMANCE: Pomp and Circumstance by Edward Elgar. This recording (by The National Children's Orchestra of Great Britain) should be very interesting for children. 1. 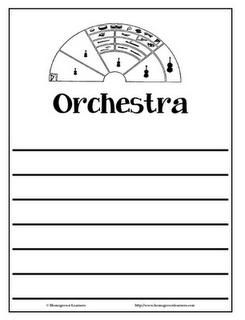 Orchestras have been around much longer than bands. 2. 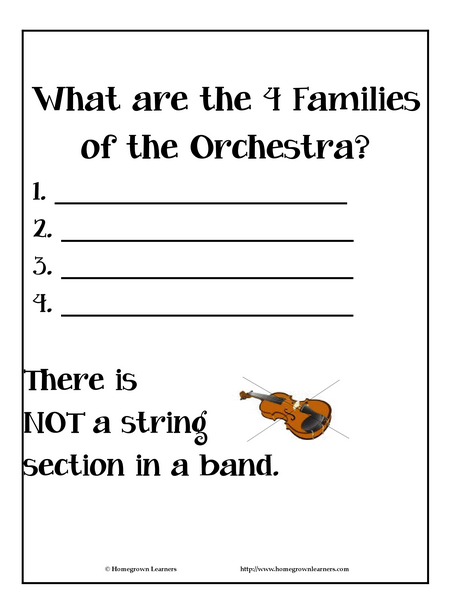 A band does not have a strings section. 3. 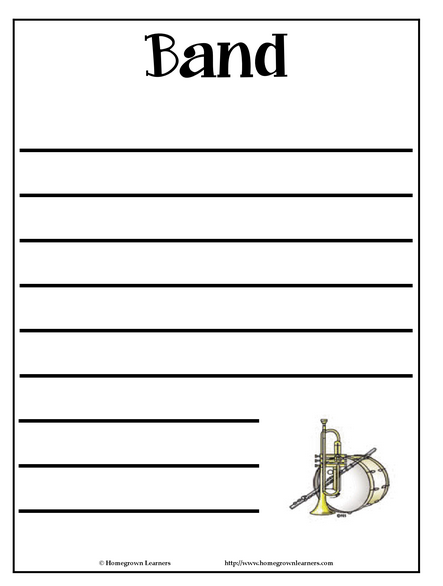 Most music written for orchestra is longer than pieces for band. 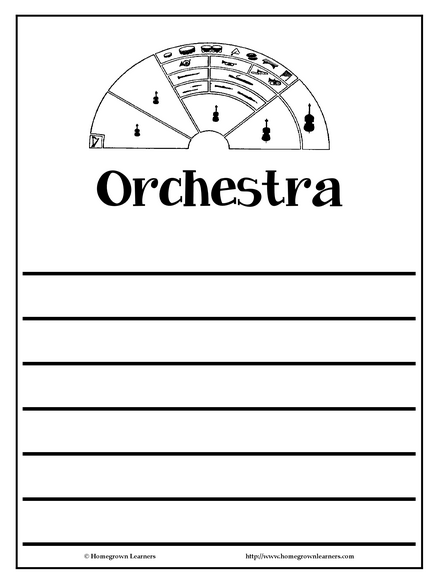 Here is your Band vs. Orchestra Notebooking Set. We have also been using the Compare and Contrast Notebooking Pages from The Notebooking Fairy, which are PERFECT for this lesson! If you have any questions, just let me know. 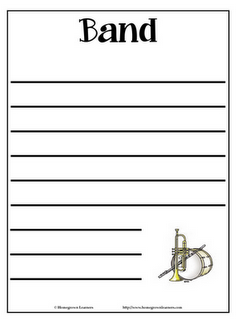 I hope you can incorporate a little music into your homeschool this week! Make sure not to miss any upcoming music lessons or other posts... subscribe to Homegrown Learners!